We may have heard the FFA mission, stated above, before. But, how often do we think about exactly how that is done? 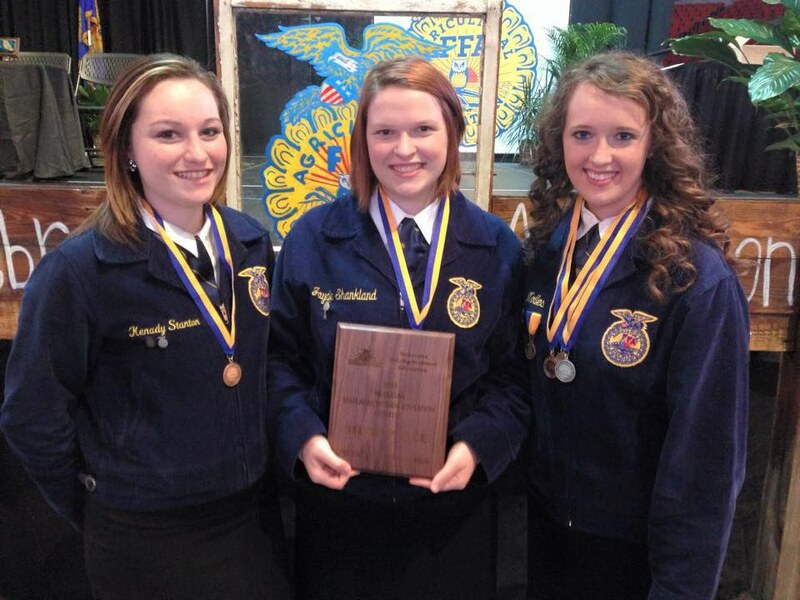 Not only do FFA members attend leadership conferences and conventions, participate in competitive events, network with future employers, gain work skills through a supervised agricultural experience, and have hands-on experience in their agricultural classes; they make lifelong friends along the way. For the first time in five years, I am not spending National FFA Week in my blue jacket. Admittedly, I am a little bit lost, but that doesn’t stop me from being pumped to share my love of this organization with everyone. Instead of traveling and dressing up in different outfits, I am reflecting on the stellar relationships that the FFA has given me. From my home chapter, I have the memories that cannot be replaced of scavenger hunts across town, singing all the way to national convention, and hilarious moments that happened in ag class. Remember the time that our classmate got sprayed with ovary juice when we dissected a cow’s reproductive tract? My friends will never let me forget the time that I passed out after watching a cow get an IV. The early morning officer meetings where we told each other that we loved each other because we were fighting always ended in laughter. Being a chapter officer brought me closer to some of my best friends, and it made my heart so happy to watch our teams work together to literally spread blue and gold throughout the school. My competitive teams that were fortunate to compete well brought memories of writing on van windows, bad accents, and jumping off of stages. I will always remember where I came from and share this bond with you all. From state convention, COLT, MFE/ALD or Activate and Leverage, national convention, WLC, NLCSO, and international experiences, I am so grateful to have a FFAmily that spans coast to coast and border to border. In some cases, these friends became confidants, roommates, sorority sisters, and college study partners. Although we may not see each other often, it is sweet to FaceTime, Snapchat, and have random catch-up phone calls. There is something about being forced to room with strangers that results in late night giggles, snacking, and life planning with new friends. I was fortunate to have an extra year in the blue jacket traveling the state and nation and meeting so many amazing FFA members, advisors, and supporters. I treasure the friendships built during chapter visits that remind me of why I was serving. Nothing will replace the sleepless nights with my state officer team planning convention, conferences, and having life talks. I learned the value of taking ownership of my actions, putting the good of the group above my own, and the true meaning of teamwork. My teammates will forever be my best friends. FFA even allowed me to develop professional relationships. From working with college professors in different competitive events during high school, I felt more comfortable asking them questions when I enrolled in their classes. Visiting with industry supporters, I have been able to network with potential future employers. FFA provided experiences for me to work with policy makers and to have my voice heard. As a future agricultural education teacher and FFA advisor, I have been able to work with highly motivated teachers and state staff who mentor me, and will be a great resource when I enter the profession. FFA changed my life for the better. I found confidence, joy, and a future career in my blue jacket. Blue and gold (relationships) forever.